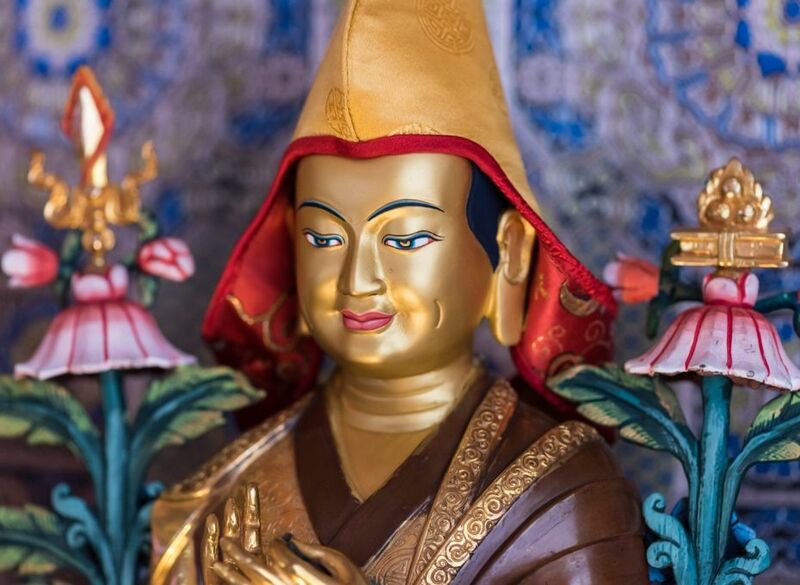 Statue of Lama Tsongkhapa at Buddha Amitabha Pure Land, Washington State, US, June 2015. Photo by Chris Majors. 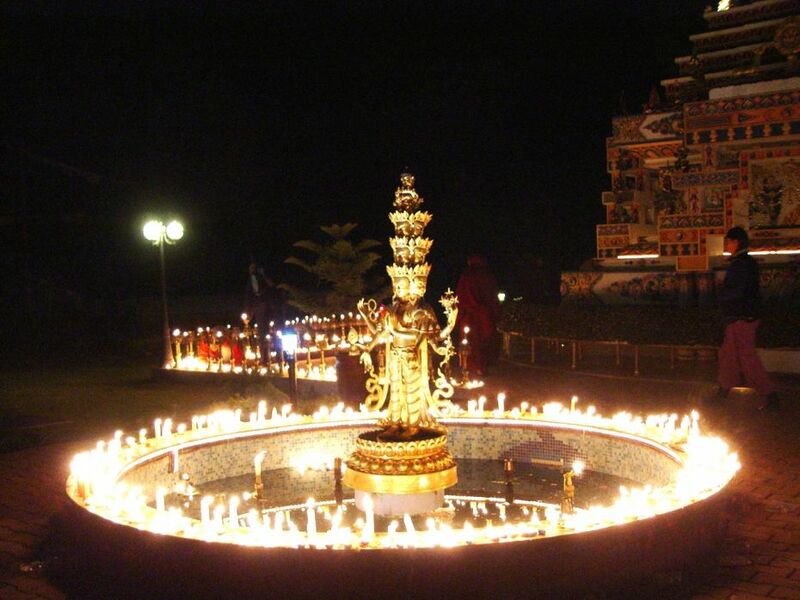 Lama Tsongkhapa Day, or Ganden Ngamchoe, is a celebration of the anniversary of Lama Tsongkhapa’s parinirvana. 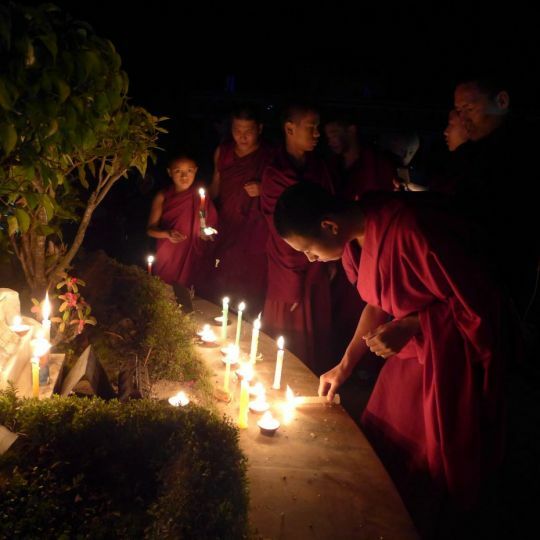 It is celebrated on the 25th day of the 10th month in the Tibetan calendar. This year, Lama Tsongkhapa Day falls on Tuesday, December 12. Lama Tsongkhapa (1357-1419) was a Tibetan Buddhist master whose studies and meditations in all the major schools of Tibetan Buddhism resulted in the founding of the Gelugpa lineage. A young monk offers light on Lama Tsongkhapa Day, Kopan Monastery, Nepal, December 2016. Photo by Laura Miller. In the beginning I strove extensively in the vast ocean of learning. In the middle all the scriptural traditions dawned on me as advice. Light offering around the Chenrezig statue at Kopan Monastery on Lama Tsongkhapa Day. Photo courtesy of Kopan Monastery. There are many practices you can do to create merit on this special day! The main practice, recommended by Lama Zopa Rinpoche, is Lama Chöpa. The FPMT Foundation Store makes this practice available in hardcopy and as a downloadable PDF. If you are unable to do Lama Chöpa, Lama Tsongkhapa Guru Yoga is also recommended. 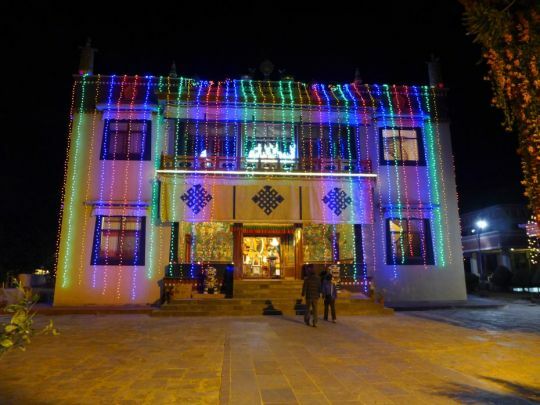 The main gompa at Kopan Monastery decorated with offering lights on Lama Tsongkhapa Day, Kopan Monastery, Nepal, December 2016. Photo by Laura Miller.